Our great selection of cooking toys and kitchen sets ranges from the super compact Sevi BBQ tabletop play set or Big Jigs portable cooker to large full country wooden play kitchen toys that kids will love. The Indigo Jamm Mini Cooker or Djeco Leo's wooden kitchen sets are both perfect if you only have a small space. These compact wooden kitchen toys have everything your budding chefs need to get cooking including cooking rings, oven pots, utensils and even a handy clock to make sure nothing gets burned. These little toy kitchens are still small enough not to take up too much room, and you can even store your wooden cooking utensils and play food in the oven when not in use. 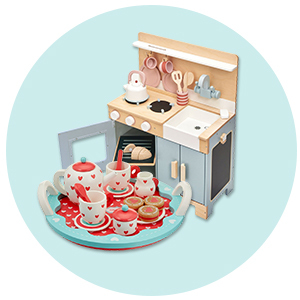 What more could you want from a toy kitchen? If you are looking for something even smaller that can be packed away when not in use then the Big Jigs Portable Cooker or Sevi BBQ would both be ideal. Both pack away neatly so you can store them in a drawer or on a shelf. And the portability means they are great for taking on holidays, camping trips or even just outside for a bit of alfresco dining. If you live in a small space or just have too many toys (if that’s even possible) then these are a great solution. 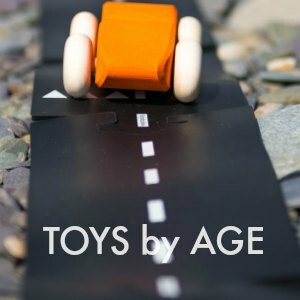 The lower price tag aslo makes them the perfect introductory toy to see if it’s worth spending the big bucks. 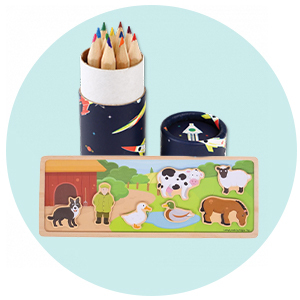 If you have a bit more space to play with then the super popular Tidlo Country Play Kitchen is always a hit with little ones, and we even do a full wooden toy kitchen bundle so you can get all the wooden cooking toys you need in one go. This set has everything you need for lots of kitchen fun although of course, you can add to it later to make it more personalised. The pots and pans are superb quality with a beautiful blue enamel finish and the utensils are just like mini versions of mum and dads. While the food comes in lovely wooden trays that are also great for storage and playing shop. If you are looking for a really special Christmas or Birthday gift for gilrs or boys and you have space then this wooden toy kitchen set comes highly recommended. One of the reasons the Tidlo Country Kitchen is so popular, other than the fabulous design and beautiful attention to detail, is that it has a slightly higher work surface than some of the other kitchens we sell. That combined with Tidlo's high-quality materials and workmanship mean this is a toy that will give years and years of play. Also popular is the Big Jigs Play Kitchen again it’s got quite a high work surface making it great for taller and older children. Although it is generally more compact than the Tidlo Country Kitchen so could be a good choice if you don’t have loads of space. This comes complete with a frying pan, casserole, utensils and a little oven glove so the only thing you need to buy extra is some play food and you are ready to go. However, Big Jigs have a fabulous range of accessories that go with the kitchen including a matching kettle and toaster. Very important for breakfast time. A lovely dinner set and tea set that children will adore. And even a food mixer that all feature the same spotty design. Slightly smaller again are the Indigo Jamm Kitchens. 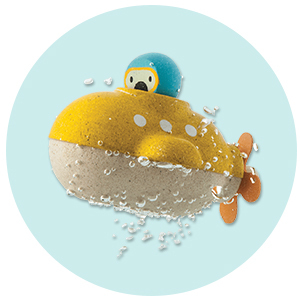 These are perfect for toddlers and have a surface height of approximately 46cm. 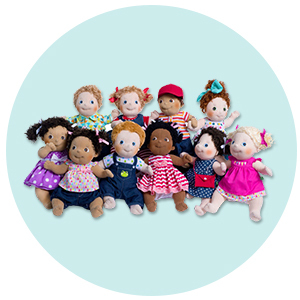 They might be smaller but you still get a high-quality kitchen, funky retro design, clicky knobs, an oven, clock and sink so they make fabulous toys that will be loved for years. These stunning wooden children's toys will provide hours of entertainment as your child enjoys cooking and serving up tantalizing feasts or mouth-watering afternoon teas. Built to last these are traditional wooden toys that will be enjoyed for years and can be handed down to siblings, friends or even children and grandchildren. A wooden kitchen toy is the perfect children's role play toy for kids that love to cook. Kids love to copy mum and dad, whether that's chopping food and cooking a delicious dinner or using their very own wooden toy tool kit to fix and make things around the house. Role play develops children's vocabulary and imagination as well as key social skills such as empathy and taking turns. 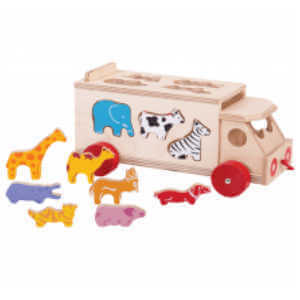 Open-ended wooden toys including toy kitchens are perfect for encouraging imaginative play, coordination and narrative thinking. 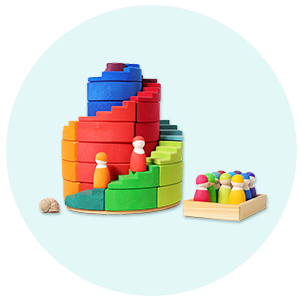 And in the case of wooden cooking toys, are a great way to learn about healthy eating and the importance of a balanced diet, how we prepare and cook food, and the joys of cooking and eating together. 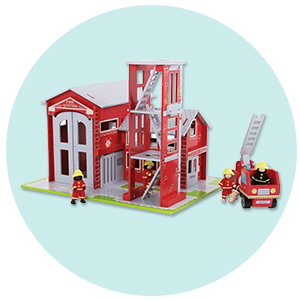 We pride ourselves on only stocking the best wooden toys from the best toy makers we can find, so the only real decision is which toy kitchen you and your child will love the most. And which kitchen you can fit without having to give up your own cooking space of course. 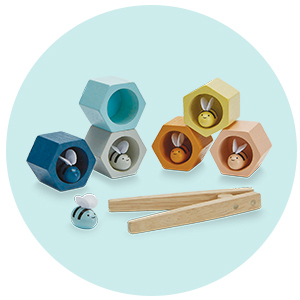 All these wooden kitchen toys are all ethically made to the highest quality. 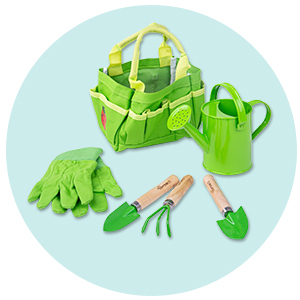 Our suppliers use responsibly sourced materials, child safe paints and stains, and employ ethical working practices. Don't forget to check out the fabulous range of wooden play food to fill your children's kitchen cupboards and get them cooking up a storm in no time. Guilt-free chocolate cakes, perfect pink cookies and other treats are perfect for a wooden tea party. wooden cutting fruit and veg to help with knife skills and ideal for emulating mum and dad, or everything you need for the perfect wooden packed lunch. There are beautiful replicas of all your favourite toy kitchen accessories including kettles, toasters, mixers and more.